The Best Ways to Rejuvenate Your Skin after a Long Summer - Doctor Hermann M.D.,P.A. Summer is a wonderful time of year for many reasons, but not for the damage it causes to the skin! This is especially true in the Tampa area, where the sun’s harmful rays are often inescapable. As summer comes to a close and fall sits just around the corner, it’s a great time to schedule an appointment to revive your damaged skin and rejuvenate your overall complexion. The following treatments can quickly and effectively deliver the results you want. 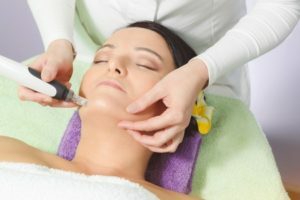 The microneedling treatment involves the use of an electronic pen-shaped device equipped with very tiny needles to puncture precise holes in the skin. These controlled microinjuries don’t hurt or cause actual skin damage, but they essentially trick the skin into creating new supplies of collagen and elastin. Sun damage, fine lines, and wrinkles can all be minimized or reversed as the extra collagen and elastin do their job. Results become visible over time, especially after multiple treatments have occurred. Two to three aggressive microneedling treatments will trigger comprehensive healing, but five to six treatments will generate the most dramatic results. The intense pulsed light (IPL) laser treatment is a non-invasive way to tackle unwanted skin pigmentation, age spots, discoloration, and fine lines. During treatment, a gentle pulsed light targets and destroys damaged skin without harming any normal, healthy skin. This process makes it possible to stimulate the collagen replenishment that supports youthful, vibrant skin. Like most cosmetic procedures, IPL laser delivers the best results after a series of treatments, usually between two and six sessions. Hermann Wellness offers microneedling, IPL laser, and a number of other valuable cosmetic treatments in the Tampa and St. Petersburg, Florida areas. The highly trained and experienced team at Hermann Wellness will evaluate your skin for sun damage and recommend the best customized treatment plan. Call (813) 902-9559 to schedule your appointment today!